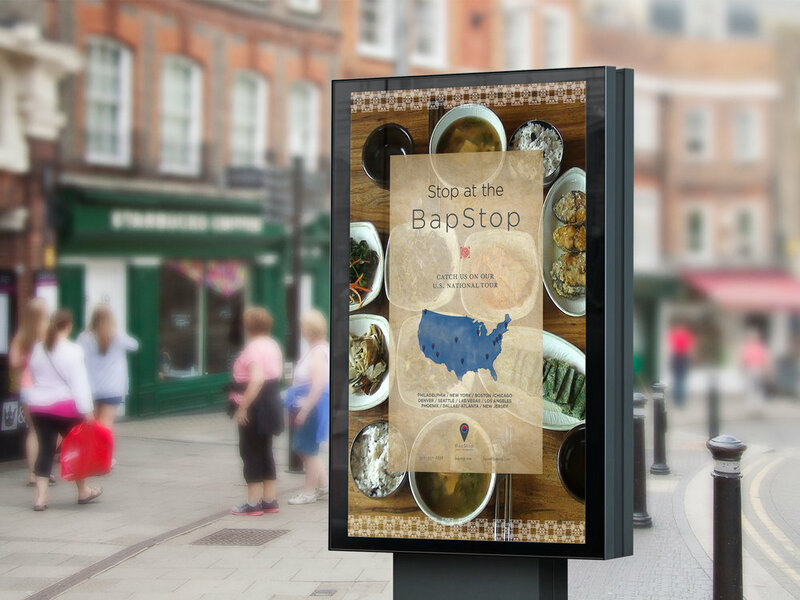 BAPSTOP IS A BRANDING PROJECT including a various design products, a food truck, cookbook, menu, sauces, and poster. The target is working class people in the main cities like New York, Boston, LA, and etc. 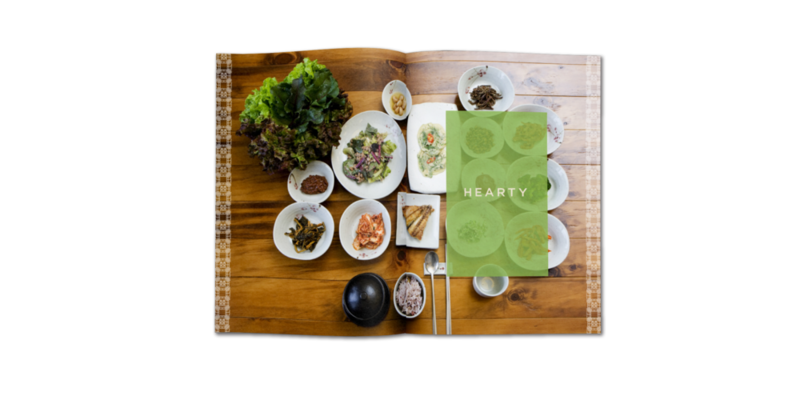 Wanting to differentiate Korean culture from Japan and China, I added Korean language in the cook book and unique patterns on every product. 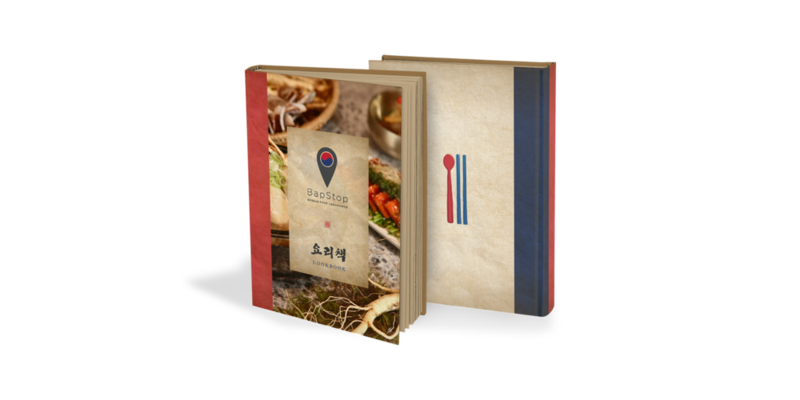 To spread and promote Korean culture through food which represent one’s country the best. I designed three signature sauces for customers to buy. These are the main ingredients used in most of the Korean food. Different icons and colors for each sauce. Each seal has its own pattern. The back of the jar has description of each sauce. 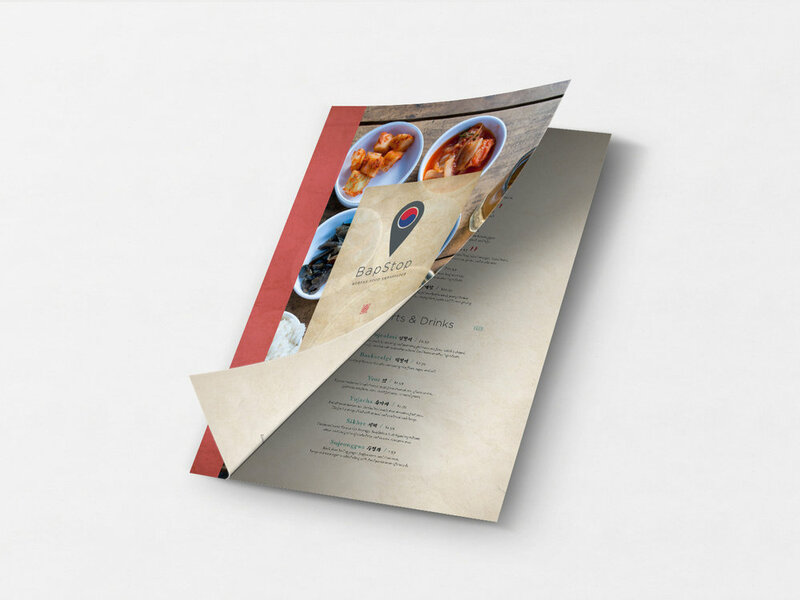 Designed letterhead, envelope, and business card. Detail shots are provided to show the texture of the paper. 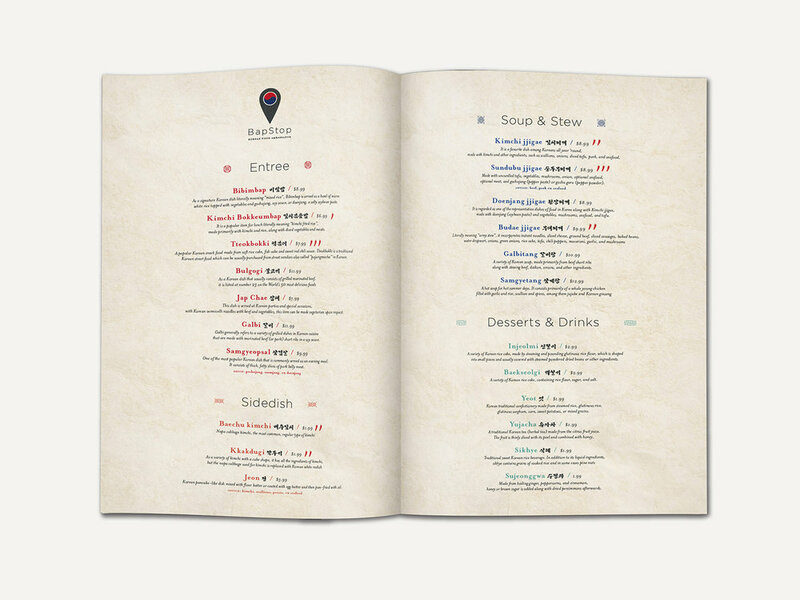 Menu is very simple with limited food choices so that the customers can feel less nervous about ordering. The poster has a slogan “Stop at the Bapstop” and the map with the actual stops on. 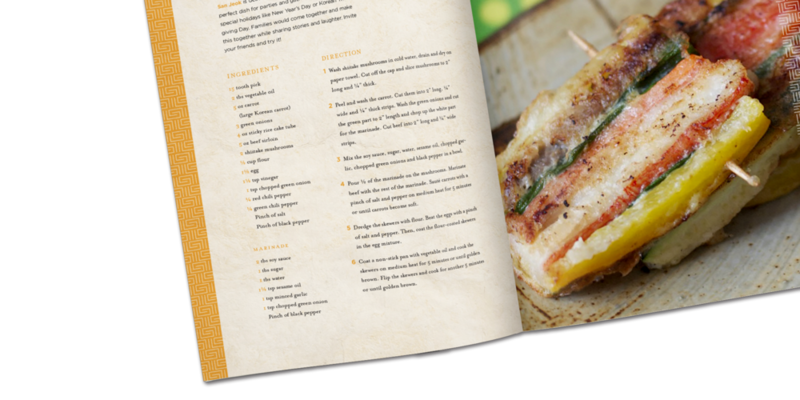 Cookbook can be purchased at the truck. 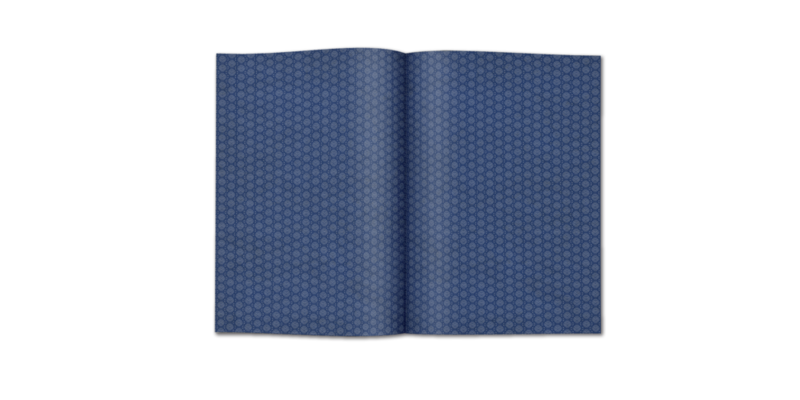 The book is divided into 4 sections and each section represents 4 seasons. Each section has its own look and feel according to the themes. The recipes are well-explained with illustrations of the food. Also I used glossy paper for photo part and rice paper for the recipe part respectively. Illustrations are added for customers to approach the food more friendly.